Common oral care issues explained plus simple tips on how to avoid to keep your teeth and gums healthy. The starting point for tooth decay and gum disease is plaque – a thin, sticky substance that forms naturally on all teeth and if it is not regularly removed it can hide along the gum line. Plaque contains bacteria which react with the sugars and starches in our daily diet to form acids which are harmful to teeth. Fortunately, you can remove plaque yourself by brushing your teeth regularly. If plaque isn’t regularly removed it will attach to teeth, and will eventually calcify into a hard substance called tartar. Generally yellow to white, tartar forms mostly on the inside of the lower front teeth close to the gums. Unlike plaque, tartar cannot be removed by brushing and only your dentist or hygienist has the proper instruments to remove it. As well as looking unsightly, the rough surface of tartar is a haven where further plaque can build up. Plaque forms naturally over all tooth surfaces. If not removed regularly, the plaque bacteria produce acids, which eat into the tooth’s protective enamel surface. Eventually, holes or cavities appear through which the plaque acids attack the softer layer of the tooth (dentine) causing serious decay. If not attended to by your dentist the tooth can eventually be lost. 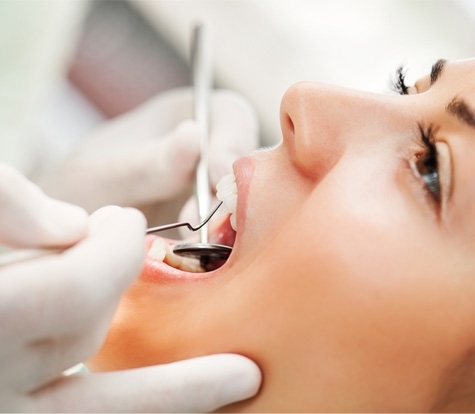 Tooth whitening is a cosmetic procedure that can be completed by some dentists and also cosmetic dentisty specialists. It is not available on the NHS. My teeth are really stained and discoloured, but I do not want to get them whitened. What can I do? • Limit your intake of food and drink that can stain your teeth (coffee, tea, red wine etc.). • Do not smoke as this can discolour the tooth surface. • Have your teeth cleaned and polished professionally by a hygienist to remove tartar and surface stains. • Use a non-abrasive whitening toothpaste like Wisdom Quantum Clean & Protect Whitening with a whitening toothbrush. How do I know when my toothbrush is worn out and needs replacing? Hold it upright with the back of the head facing you. If you can see more than a millimetre or two of the filaments then replace it with a new brush. If I chew sugar free gum do I still need to brush my teeth? Only regular brushing with a quality toothbrush will effectively clean your teeth. However, chewing sugar free gum after meals stimulates the production of extra saliva, which helps limit the build up of plaque (the main cause of tooth and gum problems) and reduces the acid in the mouth. Should I rinse my mouth out with water after I have brushed my teeth? It is better to not rinse your mouth out after you have brushed your teeth as rinsing reduces the benefits of the fluoride in the toothpaste. How safe is fluoride, and why is toothpaste better with it in? Fluoride works by replacing the calcium on the surface of your teeth, and it takes 10 times more acid to dissolve. This is why fluoride is so important, and used in small quantities there is no solid evidence of adverse effects. Try to prevent children from swallowing too much fluoride toothpaste as in extreme circumstances this can lead to stained teeth. How do I find out if the water in my area contains fluoride? Contact your water provider or local health authority. My gums are very sore and it hurts to brush my teeth, what could be wrong? • If your gums are red and inflamed and they bleed when brushed, you may have gingivitis. •If you have these symptoms, see your dentist as soon as possible. I have tried to floss, but my gums bleed. What am I doing wrong? Your gums may bleed and be sore for the first few days if you are not a regular flosser. If there is an infection you will most likely bleed, as this is the removal of the plaque and bacteria between your teeth. This is normal and it is just short term, and your gums will eventually stop bleeding. Flossing should be done gently. Like brushing too hard, vigorous flossing can easily injure your gums. Therefore when you have flossed, you could be flossing too firmly.